Breast Augmentation typically lasts one to two hours and is usually performed under general anesthesia. Incisions are made in inconspicuous places on the breasts to hide the incision scars, often in the armpits, in the creases on the undersides of the breasts, or around the areolas. You will feel tired and sore for several days, but most patients return to work within a week or so. Dr. Jejurikar will usually place dissolvable sutures that will not require removal after surgery. Any pain, swelling and sensitivity will diminish over the first few weeks and your scars will fade over the next several months. Dr. Jejurikar will be happy to talk with you personally to address any of your questions or concerns. 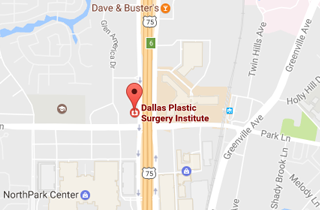 Call (214) 827-2814 to schedule a one-on-one consultation with Dr. J. to discuss breast augmentation or breast implants at our Dallas location.